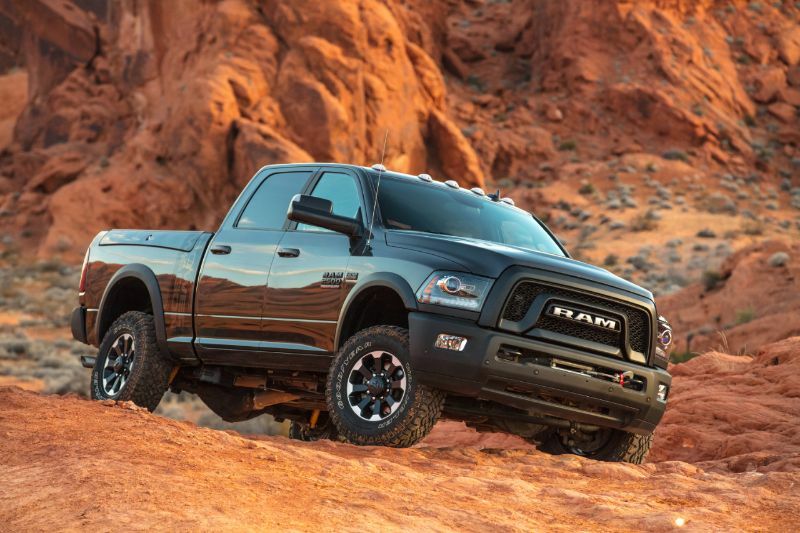 If you’re in the market for a truck that can prove itself with a work load, the 2018 Ram 2500 Power Wagon will do more than just get the job done. You will be happy to ride around in style while able to tow up to 17,980 pounds when configured correctly, or carry nearly 4,000 in the bed of your luxurious pickup. Starting at $54,290 there is no doubt that the Power Wagon is designed to take you on any off-road adventure your heart desires. Drivers are treated to the best view in the crew-cab with a short bed. You will have all the power you need with the 6.4-liter V8 engine as your only engine selection. It is paired with the MDS, or Multi-Displacement System, to help keep fuel consumption economical. 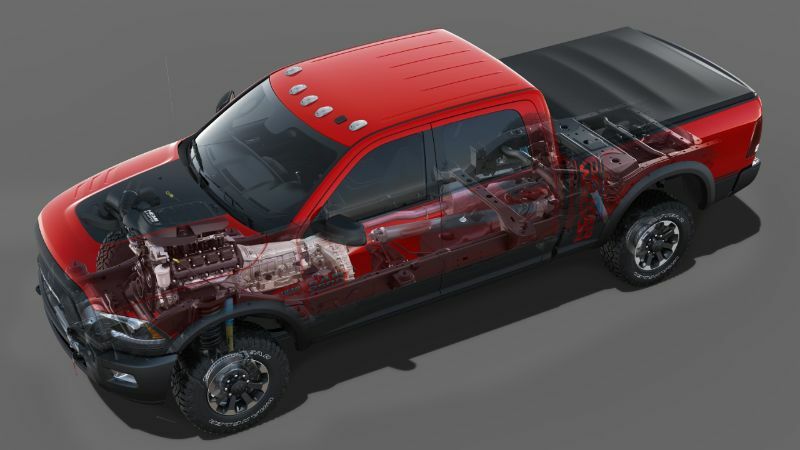 You can get 429 pound-feet of torque and 410 horsepower, allowing for a standard payload capacity of 1,444 pounds. What makes everyone excited about the 2018 Power Wagon is the mechanical upgrades it comes with. Drivers love the all-terrain tires on 17-inch wheels, skid plates, and tow hooks. Adventures are even more fun with the Bilstein off-road shock absorbers and hill descent control. Off-roading benefits from the front and rear differentials that electronically lock as well as from the 4.10 axle ration. The integrated front winch helps in a sticky situation. You also can electronically disconnect the front anti-roll bar should trouble crop up. This will help with improving your off-road wheel articulation. 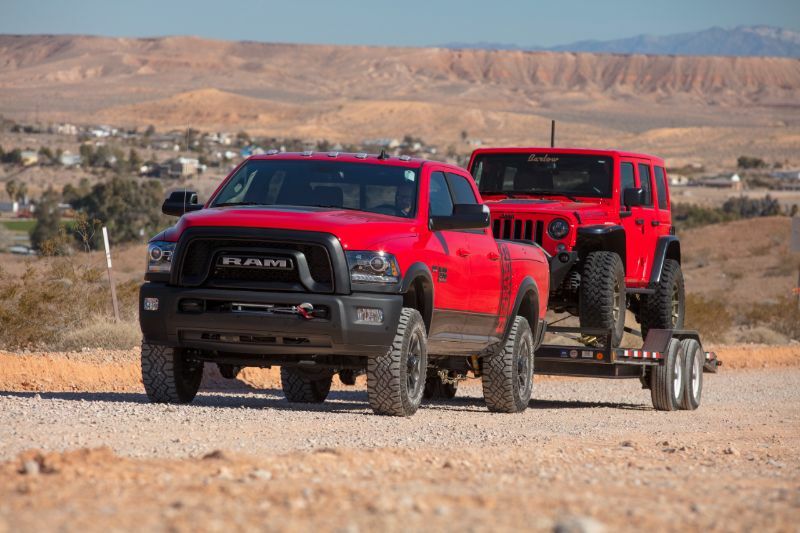 More than trim level, you can add the Power Wagon package to the Tradesman crew cab 4×4 Ram 2500 and put a Hemi 6.4-liter engine in just to change it up. This gives you no body graphics or styles, but all the fender flare. It’s a Power Wagon with a more budget-friendly price tag. You can also look at the Off-Road 4×4 options for the Mega Cab 4×4 models and the 2500 crew cab style. This will give you tow hooks, hill descent control, improved shocks, a transfer case skid plate, all-terrain tires, and limited-slip differential with any engine. The Power Wagon is only available in the 4WD option. You will have plenty of options for luxury thanks to exterior mirrors with memory, rain sensitive windshield wipers, integrated turn signals, a tri-fold tonneau cover, a spray-in bedliner, and the RamBox cargo management system. When in the cab, you can enjoy high back seats built for comfort, an overhead console, and a rear power sliding window. You also can enjoy rubber floor mats in both the front and rear, tinted windshield glass, and other features. You can decide on ventilated and heated front seats, leather upholstery, and memory settings for your radio as well as the driver’s seat. For added luxury, opt for the power sunroof. 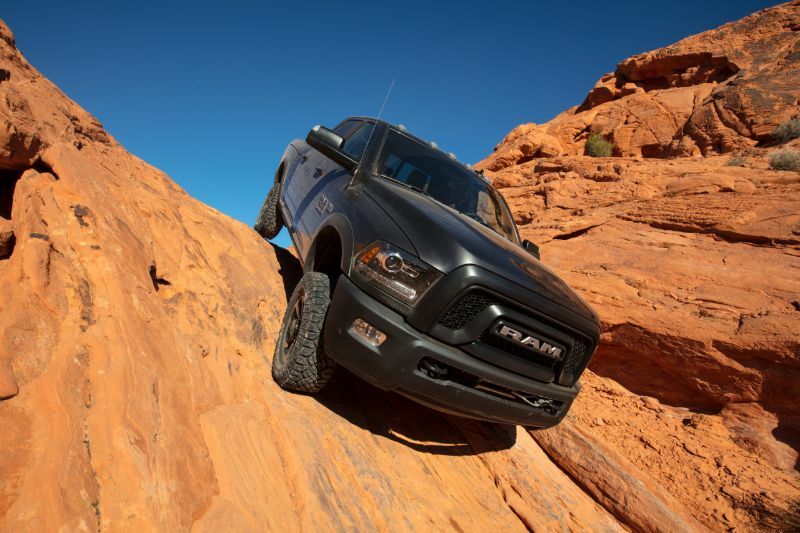 You can expect to find front and rear ParkSense park assist on the Ram 2500 Power Wagon. You will also get a ParkView camera for rear views when backing up, as well as a Cargo View camera to see your truck bed. This will allow you to check your tow-hitch assembly with little hassle.